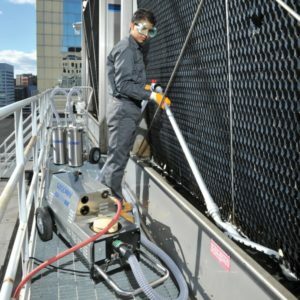 The second post in our HVAC “Spring Cleaning” blog series explains how to clean chiller tubes and cooling towers. The last post in the series will explain how to properly clean your cooling system’s air conditioner coils. To prevent buildup of scale and sediment you must maintain your chiller tubes according to the manufacturer’s directions. Periodic maintenance helps control the growth of Legionnaires’ disease bacteria (LDB) and other organisms. In many organizations chillers use the most energy, so regular cleaning and maintenance ensure that they operate reliably and efficiently. As mentioned in the previous post, chiller performance is related to its heat transfer efficiency. There are miles of tubing in a chiller’s heat exchangers so keeping the tubes clean means the chiller will perform more efficiently. Tubes can become caked with mud, slime, sludge, algae and scale. The rate at which the tubes become clogged can vary with the type of system as well as with water quality issues. Closed systems may not need to be cleaned as often; chiller manufacturers typically recommend periodic inspections for open systems. When tubes become packed solid with deposits, a water flush with a tube cleaner cleans clogged tubes quickly. Our “How To Clean Chiller Tubes” checklist details the step-by-step tube cleaning process. Using the right tools softens heavy deposits and removes all build up including soft deposits like mud and algae. Goodway’s tube cleaners can clean both straight and spiral enhanced chiller tubes. Our rotary tube cleaning technology removes tough deposit build up quickly. Our chemical descalers work to soften thick scale and speed up the cleaning process. Periodic descaling prevents future build up. Cooling towers move air through the water system with a fan, allowing water vapor to sit within the system. The water vapor can stay within the ideal temperature range (20°-50°C; 68°-122°F) for LDB to grow, according to the Occupational Safety and Health Administration. Cooling tower water becomes dirty with slime, algae, sludge and mud, all which builds up on the basin floor. 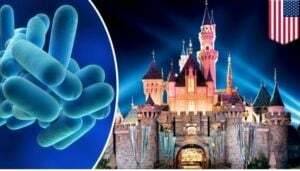 Legionella bacteria thrive underneath the layers of slime and scale. 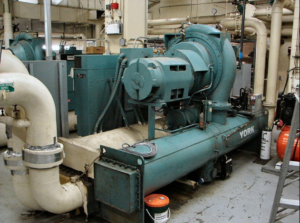 Dirty water can affect chiller operating efficiency and increase energy costs. Clean the tower whenever scale, slime or sediment is present. And disinfecting after cleaning stops future bacterial growth. Tower vacuums remove slime, mud, algae, bacteria and other contaminants from the sides and floor of the cooling tower basin. An accessory kit extends cleaning performance with additional hoses and various brushes. 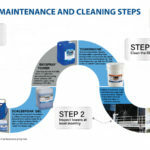 Our “How To Clean Cooling Towers” checklist details the step-by-step tower cleaning process. Spraying a foaming detergent on the tower dissolves tough deposits. Adding a biocide product to the tower water after cleaning the basin prevents bacterial growth. Stay tuned for our last blog post so you can ensure your HVAC cooling system is in top shape. Download the three HVAC cleaning checklists referenced in this blog series. 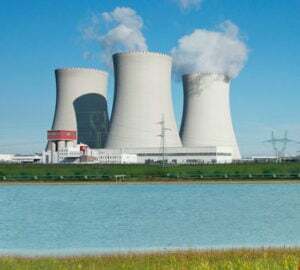 Cooling towers are essential equipment’s used in the working of several large scale Industries or in the case of closed circuit dry cooling towers rely solely on air to cool the working fluid to air heat. Can someone tell me how often a air condition needs to be cleaned in a hospital approximately 5000square meter.